If your child is experiencing significant and persistent behaviour problems and you suspect that they may have Attention Deficit Hyperactivity Disorder or ADHD, you should seek professional help and guidance from a medical professional. One of the most useful things you can do to help your GP decide if further tests and investigations should be carried out for ADHD is to keep a 'Behaviour Diary’. Asking your child’s teachers for help is also vital; they need to be able to report on their experiences of your child’s behaviour whilst they are at school. A behaviour diary documents your child’s behaviour patterns, ideally over a period of one month. As there are no specific blood tests or physical signs that can confirm if your child has ADHD, this information will be vital to help your GP decide that a diagnosis of ADHD may be possible. Make a chart or spreadsheet that includes the following questions, and fill out your answers every day. Give copies to your child’s teachers as well as making sure you have a copy for yourself. This Diary will provide an indication of patterns of your child’s behaviour both at school and at home. If the behaviour problems are strongly linked to home or school, it will be very apparent when the answers are compared and ADHD may be unlikely. However, if the problems are persistent and consistent in both settings, then ADHD may be a diagnosis and further tests and examinations will be warranted. Even if ADHD appears to be an unlikely diagnosis when the diary period is over, this information will still be useful to you and your GP. It will paint a picture of the extent and nature of the problems you are experiencing with your child. These should be answered daily for one month. 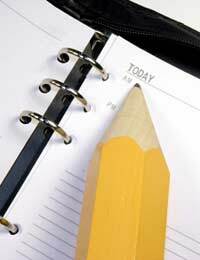 Don’t forget to clearly mark which diary documents your child’s behaviour at school, and which applies to a home environment. Work to their potential at school? Listen carefully to, and follow verbal directions? Sit still when they were asked to? Act impulsively without considering consequences? Wait to fully hear questions before answering them? On time today for lessons or other appointments? Manage to keep their belongings orderly and tidy? Finish all the tasks they were set today, such as schoolwork or chores? Finish their homework quickly or in an acceptable amount of time? Make many careless mistakes with their schoolwork? Seem particularly prone to daydreaming? Seem argumentative or verbally or physically abusive? Get in a rage over a minor annoyance? Wait their turn when required to do so? These questions only need to be answered once by the parents, and the answers will provide your GP with additional background information to help them determine if attention deficit hyperactivity disorder is a possible diagnosis. Answer ‘Yes, always or frequently’ or ‘Sometimes’ or ‘Rarely’ or ‘No/Never’ as appropriate. Does your family have a history of ADHD, learning problems or substance abuse? Always seem restless and 'on the go'? Generally have a very short attention span unless very interested in a particular subject? Have difficulty putting their thoughts on paper? Frequently forget or lose things? Have difficulty learning new games or skills? Get words in the wrong order, or transpose numbers or letters when writing? Concentrate better when moving or fidgeting? Have a history of bed wetting after the age of 5? Appear to lack tactfulness, and blurt out whatever is in their head? Tend to make others embarrassed? Frequently lie or take things that don’t belong to them? Have difficulty starting tasks and get easily overwhelmed by them once started? Appear to be immature for their age? Avoid group activities or organised sports? Often have difficulty falling asleep? Have a tendency toward obsessive behaviour? Startle easily, and show signs of being sensitive to touch, clothes, noise or light? Have trouble planning a series of tasks or activities. Get easily frustrated, and lose their temper quickly and easily? Perform poorly when taking tests or when they are under pressure? Have frequent behaviour problems in school.